A view of the ruins of the Franciscan Monastery at the top of the Hill of Slane. This was built in 1512 by Christopher Fleming. The bell-tower of Saint Patrick's Church is illuminated. The High King of Ireland at nearby Tara went to investigate. St. Patrick's eloquence (some say through an earthquake, others by holding up a shamrock) convinced the King of his earnest intent and belief in the power of the Holy Trinity. 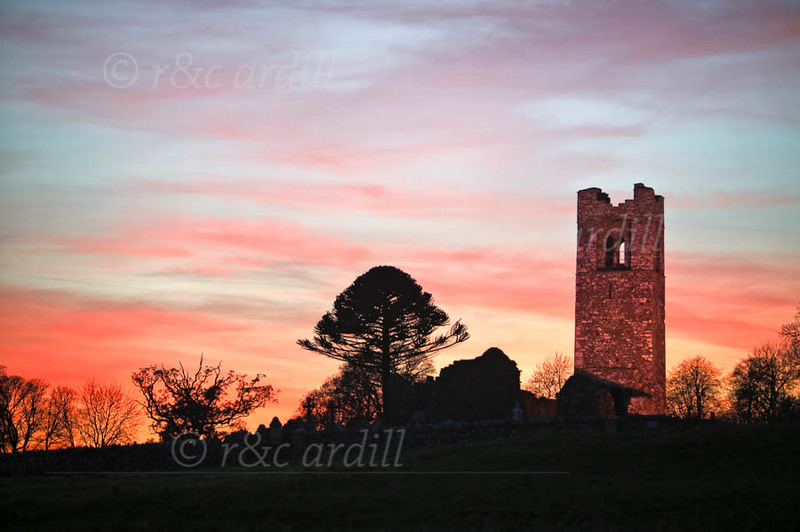 The King took Patrick and his disciples prisoner and they were marched, chanting prayers, to the Hill of Tara. By the next morning, Patrick and his men were spared and allowed to preach Christianity to pagan Ireland.